It is indicated for the treatment of colicky pain in biliary and urinary tract, bladder tenesmus, painful spasms in the stomach and intestines, spastic dysmenorrhea, and control of spastic pain during and after instrumental examination. This medication is effective in blood poisoning and pyogenic dermatitis. 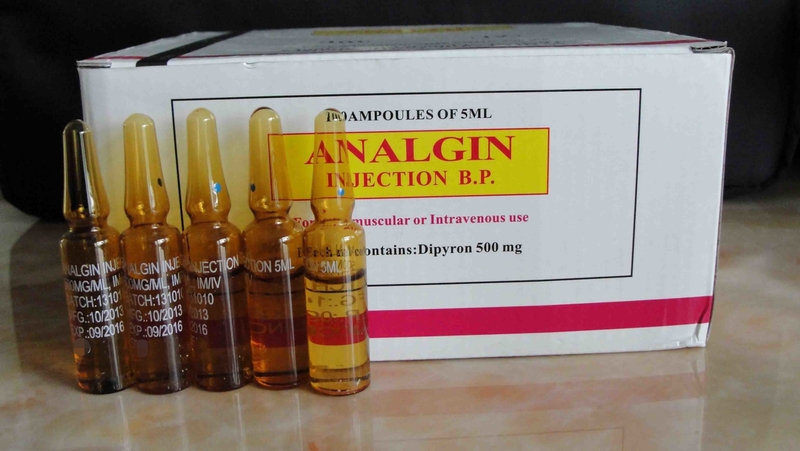 Looking for ideal Analgin Injection 5ML Manufacturer & supplier ? We have a wide selection at great prices to help you get creative. All the Metamizole 5ML Injection are quality guaranteed. We are China Origin Factory of Analgin/ Metamizole Injection 5ML. If you have any question, please feel free to contact us.